“Astroworld” was just the start … Travis Scott‘s now looking to take his brand to another world, like a true space cadet. The rapper recently filed paperwork to acquire the rights to “S.P.A.C.E” … and it looks like he wants to plaster that term all over a wide variety of merchandise. 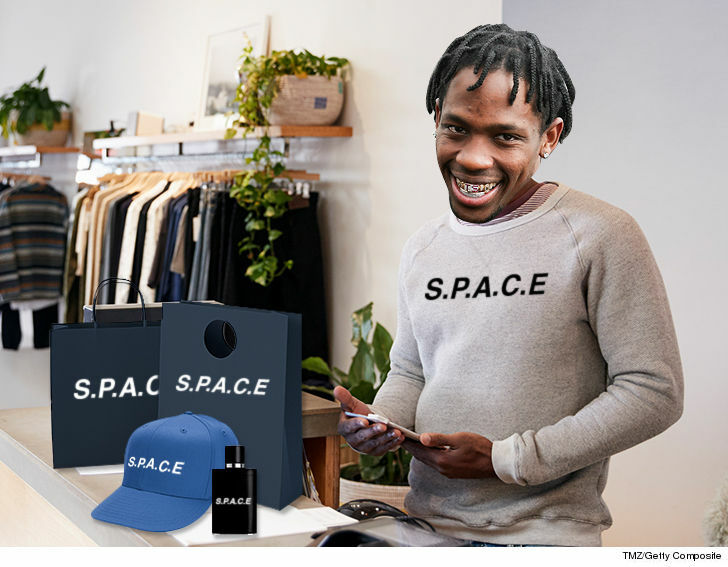 According to the docs, obtained by TMZ, Travis has earthly plans to produce “S.P.A.C.E” branded clothing, jewelry, cosmetics, fragrances, non-alcoholic beverages and an online retail store to sell it all. Scott also filed docs to lock down “S.P.A.C.E 1991” and “S.P.A.C.E 2001.” What’s not clear in the docs is what the hell it stands for, if anything. It’s possible he’s just a Stanley Kubrick fan. Either way, keep an eye out for the new brand from Travis, as he boldly goes where no man has gone before … with consumer goods.